Major scales that relate to the major chords you already know are an important building block for making your playing more interesting and fun. Use the notes of these scales to work towards playing melody, riffs, and improvisations, right in the context of a song with chords. Expand your sound, big-time! 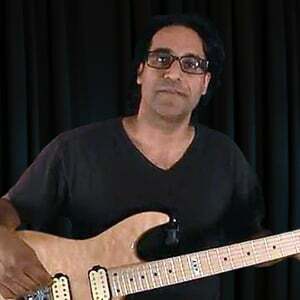 In this tutorial, we'll begin to make the connection between playing an open minor scale, top to bottom, and, using the notes within that scale to create melody and solos. In other words, now that you've learned some scales, let's make some music! In this set of lessons, Sharon Aguilar will teach "(I'm Not Your) Steppin' Stone", as made famous by The Monkees. We'll look at the song as a whole and the gear and tone, then learn guitar 1 for the intro, verse, and chorus. Next up is guitar 2 for the intro and chorus, then for the verses. We'll learn the bridge plus a bonus lesson of the organ part before we do a full and single guitar performances and a jam along. In these lessons Lee Wanner will teach you "(Sittin' On) The Dock of the Bay", by Otis Redding. 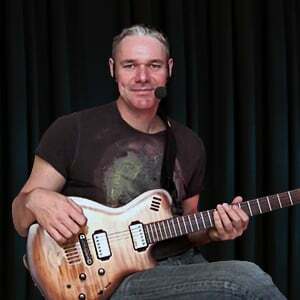 Lee will introduce the song and talk about gear and tone, then teach the intro and outro. This song has both acoustic and electric guitar, and Lee will break down the verse, chorus, and bridge parts on both instruments. For fun, we'll learn the famous whistling melody, then we'll do full and single guitar performances. We'll end with a jam along. In this series of ten lessons, Mike Olekshy will be taking you back in time to learn "1983", by Neon Trees. After giving an overview, Mike will talk about the gear and tones. Then it's into the main verse riff played by guitar 1, and the single-note melodies from both guitars. Mike will delve into the elements of the chorus and the bridge, and we'll end with a full performance play-along and a jam-along with the "band". Mike will show you all 3 clean electric guitars. There are distinctive riffs an iconic hook and bonus guitar layer that appears in the outro to mimic the "dive bomb" bass overdub heard in the original recording. 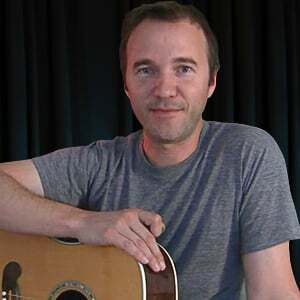 In this set of country lessons, Mike Olekshy will teach "A Better Man", by Clint Black. Mike will introduce this #1 modern country hit, then talk about gear and tone before breaking down the acoustic parts in the intro, chorus, and verse. The electric main riff and the licks and fills for the verses and choruses follow that. Then it's time to do a play along and single guitar performance, and end with a "guitar karaoke" jam along. In this song tutorial, Doug Showalter will be teaching "A Heart Like Mine", by Dwight Yoakam. Doug will talk about the song and the gear and tones before diving in to the intro part. The verse comes next followed by the chorus - then we'll break down the guitar solo. We'll look the the second guitar's rhythm in the last verse before moving to the full performance play along; then we'll so a single guitar performance and end with a jam along. Power chords were a staple of rock and blues music long before country music found this treasure chest that makes old standards sound modern. In this series we will use power chords exclusively so that you can incorporate them into your playing and make them a standard part of your vocabulary. 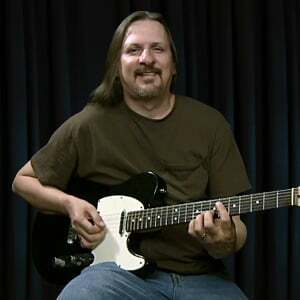 In these country guitar lessons, Mike Olekshy will teach you the hit "Achy Breaky Heart", by Billy Ray Cyrus. After an introduction to the song and a look at the gear and tones, Mike will get into the rhythms for guitar's 1 and 2. Then we're on to the lead licks, then the main hook, then the leads for verse 2 and chorus 3. Next we have more leads in the outro, and we'll end with a full performance, a single guitar performance, and a jam along. So far we've been using our acoustic guitar as accompaniment and our electric guitar as a combination of accompaniment and lead. But some of the electric tools will work on acoustic as well and that's what we're going to start exploring in this tutorial. In the previous tutorial you got a basic introduction to country lead playing on acoustic guitar. In this tutorial we're going to venture further into this terrain with some more cool licks, tricks and tools. Up until now we've kept rhythm and lead playing very separate, but now that you have a basic understanding of both of these skill sets it's time to start exploring how the two can overlap and work together. Country music ultimately comes down to an acoustic guitar. That's where almost every song starts, and being able to play a solid acoustic rhythm guitar part for a Country song is more valuable than any other skill you can acquire in this world. In this first tutorial we'll dig into some more advanced right hand work. In this tutorial we'll explore some more fills and variations you can add to your basic country strumming. Some of these have to do with bass lines walking into and out of the chord changes and some of them are fills that can be used to fill in the space between vocal phrases or to mark the end of a section. This requires quite a bit of both left and right hand precision, but you'll need to dig into that hard work sooner or later, so you may as well get started on it right now. In this tutorial we'll be learning the chords, form, and solos in "After Midnight", as made famous by Eric Clapton. This song is a great example of an alternative blues form and it features several minutes of Clapton's legendary lead guitar playing. The two solos in this song comprise a huge library of Clapton signature sounds, tricks, and techniques, and learning both of them will give you enough "Clapton vocabulary" to last you for years! There are also some great rhythm guitar and songwriting tricks to be learned from this song. 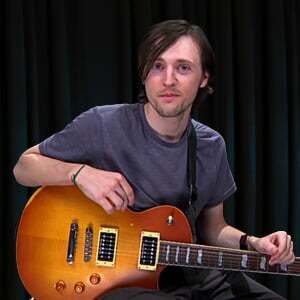 In this tutorial, Mike Olekshy will help you learn "Again", as made famous by Flyleaf. You'll learn about the tones and FX settings, the whammy effect part, the intro and chorus crunch guitars, the double stops and single note lines and variations used, and the bridge power chords. We'll tie it up and put a bow on it with a full performance play along. Dave will show you this iconic blues tune that’s played at many open jams! There are only three chords a classic boogie, shuffle rhythm and some riffing on the lower strings. Tom will show you this classic R&B tune played in a rock n roll style. There's a rhythm guitar plays a driving and funky groove and a lead guitar that adds a tasty lead. In this set of lessons, Mike Olekshy will teach you "All My Ex's Live in Texas", by George Strait. After a song introduction and a look at the gear and tones, Mike will break down the acoustic parts for the intro and re-intro, the chorus, the verse, and the outro. Then we'll learn the electric parts for the same sections before we do a play along performance, single guitar performance, and a jam along. 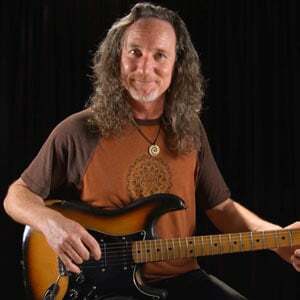 Mike will show you the single electric guitar layer that alternates between clean and crunch while playing the rhythm parts throughout. Mike will show you the 3 guitar layers in this song. Guitar 1 is a clean electric guitar that forms the strumming foundation of the tune. Guitars 2 and 3 are clean electric guitars that play melodic fills and licks with a slide. 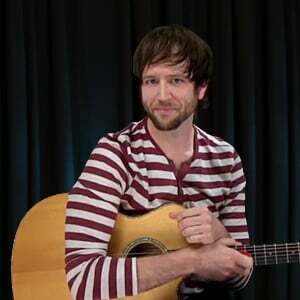 Mike will show you the 2 acoustic guitar layers. Guitar 1 is the main guitar part that drives the tune with fingerpicked arpeggiations and barre chord strums. Guitar 2 plays some exotic sounding licks in the verse sections. In this tutorial I'm going to show you some alternative "voicings" of the chords used in the blues. When you arrange the notes of your chords differently, take out or add certain notes, you can get many different sounds and possibilities out of them. In this tutorial we are gonna explore some of these sounds and look at how they are used in the context of the blues. In this song tutorial, Mike Olekshy will teach you "American Girl", by Tom Petty and the Heartbreakers. Mike will introduce this classic and discuss the gear and tones, then show you how the 2 guitars play the intro section. After that, we're on to the verse and the chorus guitar parts. We'll look at the bridge next, then the outro licks. You'll play along with Mike in a full performance, then there's a 1 guitar performance, and lastly the jam along. 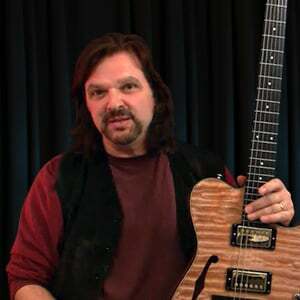 In this set of lessons, Mike Olekshy will teach you "American Woman", by The Guess Who. Mike will talk a bit about the song and the tone and tuning first, then dive into the bluesy acoustic intro. The we're off into the electric parts in the main body of the tune, starting with the classic verse riff. You'll then learn the lead melodic motif, followed by two guitar solos. We'll close out by doing a play along performance, then you take over in the jam along. In this set of lessons, Douglas Showalter will teach you "An Honest Mistake", by The Bravery. This one is a driving dance tune, and Doug will introduce the song, talk about gear and tones, then plunge into the song intro. Following that we'll break down the verse lines, the pre-chorus call-and-response, and the chorus chords, then the lo-fi bridge; then the solo and outro. We'll do full and single guitar performances, then end with a jam along. 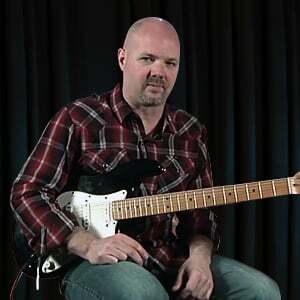 In this tutorial, we'll introduce you to drop C tuning. This tuning is used by many metal artists, as it is a full two whole steps down from the standard tuning and gives a powerful, deep sound to your guitar. We'll look at how to tune this way, some chords and shapes you can use, and play an example progression. These lessons will walk you through the form of the song in four of the lessons, rather than a list of licks. The form is the key to learning this masterpiece! The solo will also be covered along with a few of the electric guitar fills. Mastering these lessons will guarantee your spot in the next Smokey and the Bandit sequel. 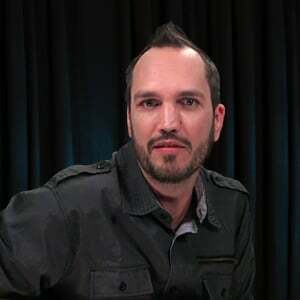 In these eleven lessons, Mike Olekshy will teach you "Animal", by Neon Trees. Mike will lay out an overview of the song then talk about the gear and tones,; then he'll break down the melodic main riff of the song and it's harmonies. Then it's on to the chorus, and the next verse that uses double stops and a single note motif. Then we'll examine the bridge and the slide solo in the outro, followed by the full performance and the jam along. Mike will show you this country classic that features a solid acoustic and electric rhythm groove and some textbook country licks. There is an acoustic guitar that alternates between only two chords with a solid strumming groove. A clean electric guitar with a flanger and another electric guitar that adds some great leads and fills. We often think of lead and rhythm playing as two very separate things. But anything you learn in your rhythm playing can be adapted to work in your lead playing as well, and vice versa. And the more these two mindsets can draw inspiration from one another, the more interesting they will both be. And there's no limit to how far you can eventually take the concept of arpeggios in rock! In this tutorial we're going to explore how to incorporate more rhythm guitar arpeggios into your country rhythm guitar playing in some fun and useful examples. In these ten lessons, Sharon Aguilar will teach "At Last", as made famous by Etta James. After a song introduction and a look at the gear and tone, we'll break down the intro and outro parts. Next up are the chords and rhythms for A sections 1 and 2, followed by the B section. We'll look at A section 3 before we learn the string melody on guitar, then do play a long performances and a jam along. Dave will show you all the guitar layers in this classic rock radio hit. There’s a clean guitar part that sets the pace of the song using an R&B style playing style in an uptempo groove. Mike will show you the 2 guitar layers in this song. Guitar 1 is an acoustic guitar that lays down a smooth strumming layer that forms the rhythmic and harmonic foundation of the tune. Guitar 2 is a clean electric guitar that adds some great supporting parts in the way of tasty fills, lead solos, and chord strums. Mike will show you the 2 electric guitar layers in this tune. Guitar 1 plays the main riff and leads with a slightly overdriven tone drenched in tremolo for a swampy texture. Guitar 2 is a rhythm guitar that plays the progression throughout. 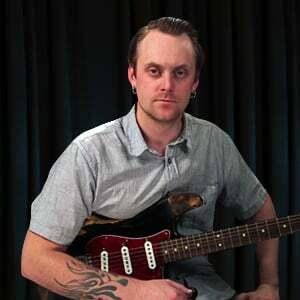 In this set of lessons, Henrik Linde will teach "Back Door Man", by Willie Dixon. 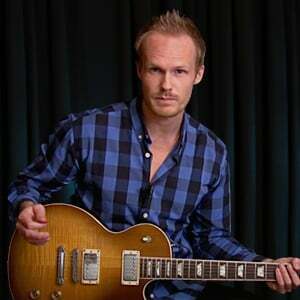 Henrik will introduce the song and go over the gear and tones, then dive into the funky main electric riff. Next on the agenda is the slide guitar part, then we'll move on to the very cool solo. 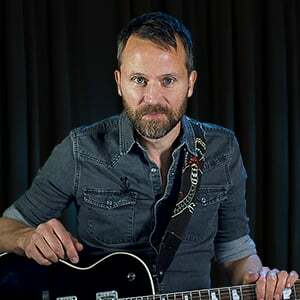 Henrik will give some advice on bends and vibrato before we do full performance and single guitar play alongs; we'll top it all off with a jam along. Mike will show you the two overdriven electric guitar layers in this song. Guitar 1 is the main rhythm guitar playing riffs and chords throughout the tune. Guitar 2 plays the fills and solo. In this set of song lessons, Douglas Showalter will teach you "Bang the Drum All Day", by Todd Rundgren. 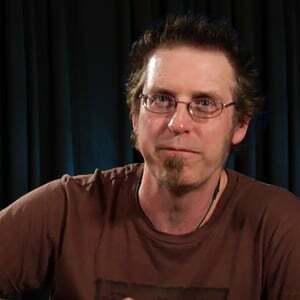 Doug will start off with a song introduction, then discuss gear and tone a bit; then he'll break down the main motif. After that we'll look at the verse "ska" rhythm parts, followed by the octave part during the bass solo. We'll end with a play along performance, then a jam along. In these 10 lessons we'll break down the classic 70s rocker "Barracuda", made famous by Heart. You'll learn the main hook riff, the sections of the song form, and the solo... plus some really cool guitar tricks like pick slides and whammy bar dives, the flanger effect on guitar, the use of harmonics as single note melodies and chord support, and some odd meters along with some very interesting variations in rhythms and riffing. Shows how to approach playing various single note embellishments within barre chords. When you play a full barre chord there are actually many more notes than you really need. In this tutorial we'll look at how to strip down your full barre-chords to smaller versions of each chord known as "triads" and how you can use those in your electric country rhythm playing. Mike will show you the 2 electric guitar layers in this tune. Guitar 1 is the crunch rhythm guitar that strums a simple progression throughout. Guitar 2 is the lead guitar that lays into some Chuck Berry influenced licks. In this song tutorial, Douglas Showalter will be teaching you "Be Like That", by 3 Doors Down. After a synopsis and gear and tones, Douglas will break down the acoustic intro and the verse; then the first 2 choruses. To follow, we'll check out the bridge and the variations in verse 2 and the 3rd chorus. Lessons nine and ten examine the double chorus and the song outro, then it's time to play through the song. Last up is the jam along, where you take over. There are 2 clean electric guitar layers in this song. Guitar 1 plays lower single note lines and chords while Guitar 2 plays upper string melody lines and chord stabs. 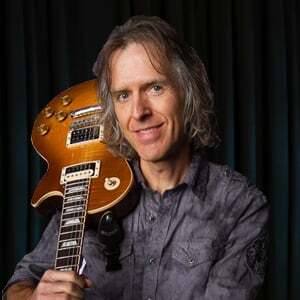 Both guitars are carefully crafted and interlocking, and stay very active throughout the tune with a mix of staccato chords with quick changes, steady strums, and single note lines connecting the changes and sections. There is a lot to learn in this song from both parts! 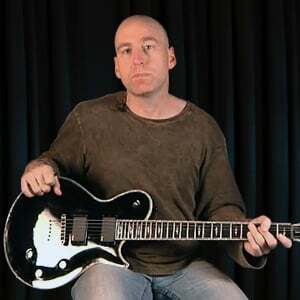 In these lessons I will leave standard power chords behind and show you four types of chords that are just as useful, that you may not have seen before. In the first two examples, I will take you through inversions. After that we'll take a look at using thirds, and last but not least, the progressive metal power chord. 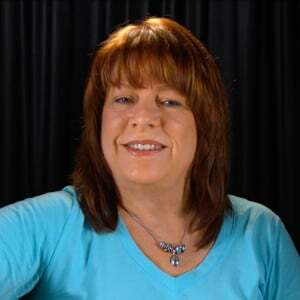 In this tutorial, Sharon Aguilar will teach you "Big Bang Baby", by Stone Temple Pilots. We'll start with a song introduction, then take a gander at the gear and tones - then dig into the verse and pre-chorus parts. Next up is the chorus riffing and motif, followed by the bridge guitar parts. 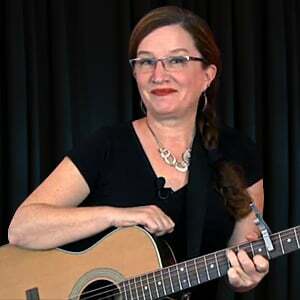 Sharon will take you through a full performance play along, then a single guitar performance, and then you'll take center stage in the jam along. This song features some great and classic rock guitar playing. Interesting and dynamic rhythm parts, leads, Hendrix-style chords, fills and embellishments throughout. There are clean tones and distorted tones, there are epic changes in dynamics. Get ready to learn every last part of it! Mike will show you the 2 electric guitars in this song. Guitar 1 is a rhythm guitar that lays down a steady foundation for the tune. Guitar 2 is an effected crunch guitar that adds a melodic layer to the tune. Bluegrass Lick Library G2 builds on the Bluegrass Lick Library G1 tutorial. Here I will increase the difficulty a little bit, still keeping it fairly simple as far as bluegrass goes. We will play over the same backing track as the G1 tutorial - G | C | D | G | - and I will show you nine more licks to add to your personal lick library. In this tutorial we'll examine different types of basic blues rhythm riffs: the classic blues riff with triads, one and two note riffs, using "outside" triads, and a funky horn section style riff. In this tutorial we're going to focus on your right hand by breaking down a couple of really useful strumming patterns for the blues. Chord voicings and left hand technique is very important, but right hand chops and different rhythmic approaches are just as important! There are many different kinds of amplifiers to choose from. These are 3 primary amp styles on which most models are based, and here we'll look at 2 tube amps and a solid state amp. Use this demonstration by a pro to get a good idea of what kind of amp best suits your style. This tutorial will give you the know-how to identify and put together great gear to get the tone you want. With these lessons, we hope to take away some of the work it takes to find the right effects and make the most of your hard-earned dollars. We'll look at overdrive, distortion, tremolo, delay, wah, fuzz, and vibe pedal. 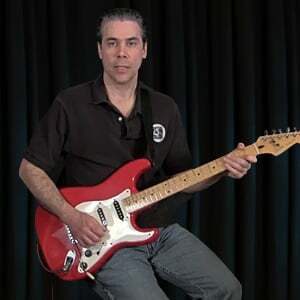 These non-playing lessons will do a side-by-side comparison of guitar tones, amp tones, and the difference in tones created by the most common effects used by blues guitarists. We'll look at several tone configurations to give a good overview of the variety of choices available to get killer blues tone. In this tutorial we'll walk you through the sounds and electronic configurations available on the most popular guitars in the market: semi-hollow body, Les Paul, SG, Telecaster, and more. You will have a great idea of what guitar will give you the sound you want, to become the blues player you want to be.